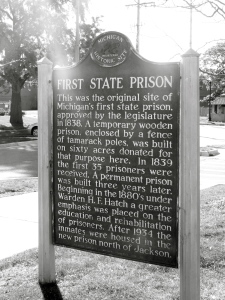 Jackson, MI is home to the first state prison of the state of Michigan. The legislature passed this in 1838 and a temporary establishment was built as a wooden building and a fence of tamarack poles. 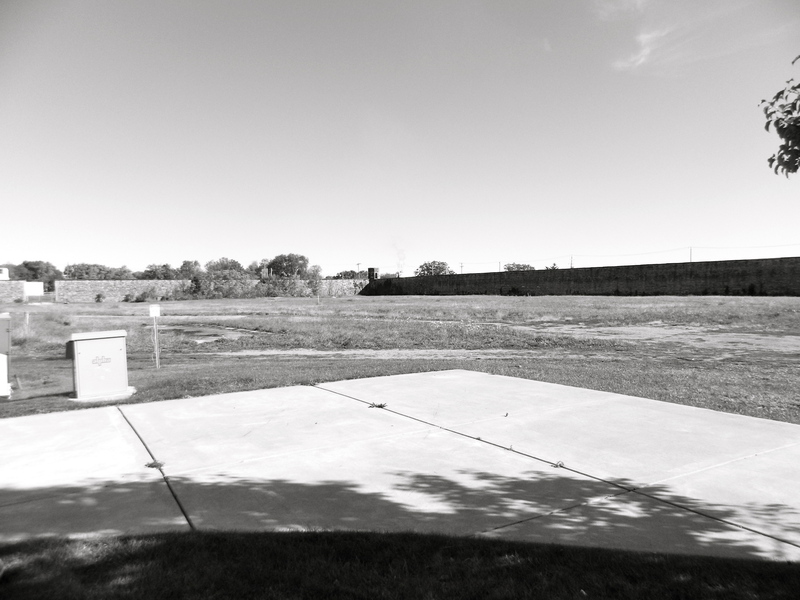 Sixty acres were donated for the prison. In 1839, 35 prisoners arrived to the establishment. 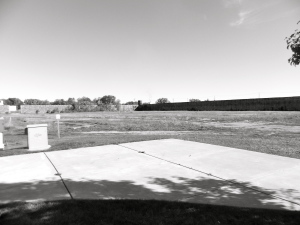 Three years later a permanent prison was built and it housed many prisoners until 1934, where they were housed in a new prison which is north of I-94. Beginning in the 1880s, the warden at the time, H.F. Hatch really stressed for education and rehabilitation for the inmates. 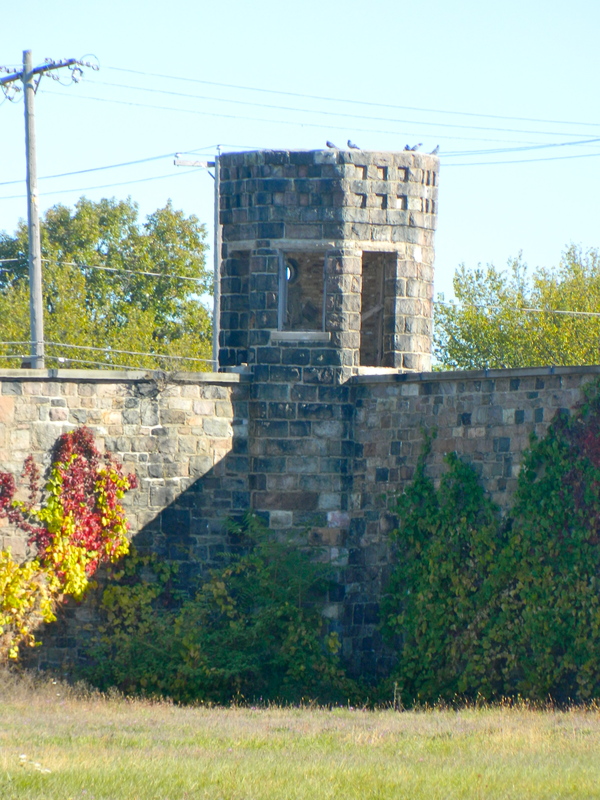 By 1882, it was the largest walled prison in the world! 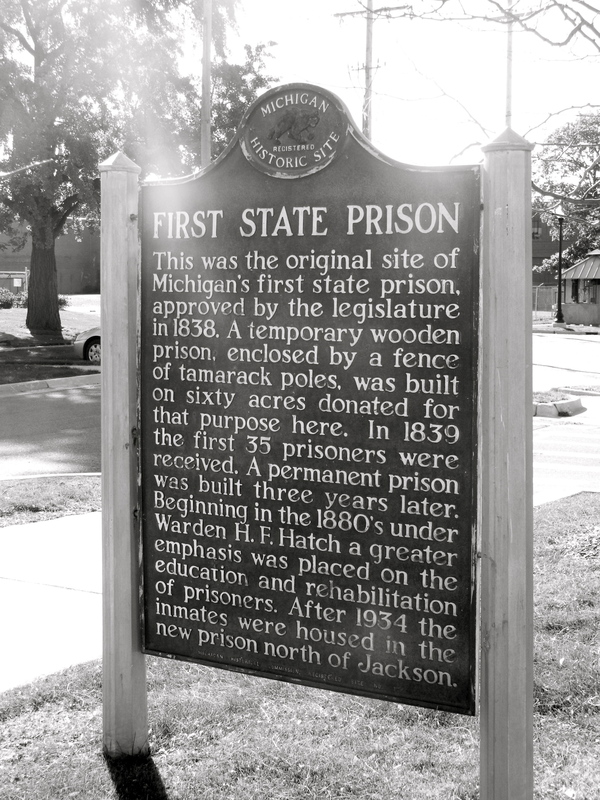 Jackson was the early favorite for the prison, partly because the owner of a tract of newly purchased farmland in the area was also a member of the House committee considering the matter. 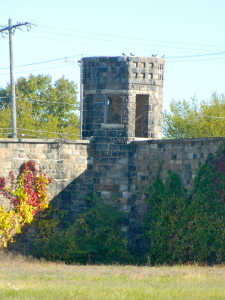 Originally the prison was named Michigan State Prison, then State Prison of Southeast Michigan, and better known as “Jacktown”(Judge C. Williams Whitbeck, Jackson Legal News, 2010). 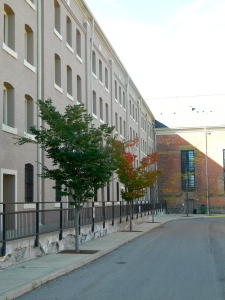 Due to the Prohibition Era, the increase of inmates increased and the need for a bigger facility was put into action. Alexander Groesbeck, Michigan’s governor during the time, was busily building a network of roads throughout the state. Alongside the roads, he built a parallel system of political patronage. “Convict labor, Groesbeck realized, could be used at a fraction of the cost of ordinary workers and he quickly concluded that rather than having too many inmates, he actually had too few”(Ibid). Pure corruption occured at Jacktown as the government saw the inmates as free labor that could be sent out to work certain industrial jobs in the area, to bring in not only money for the government, but allow the prisoners to stray outside their boundaries. Drugs, alcohol, weapons, and even weapons made their way back into the prison that led to more layers of complication and corruption. This type of work did stop, but it showcases the corruption that the 1920s played not only from the Prohibition, but also inside the political world. Today the prison is still fully functioning.